In winter, des Grands-Jardins national park offers sixty four (64) kilometers of snowshoe trails allowing you to explore this snow-laden forest and observe its wildlife. Nature lovers and outdoor enthusiasts will be charmed by the unforgettable decor of this islet of Québec’s Far North. You could stop at the refuges of Lac Pointu accessible daily on trail # 2, between 11 a.m. and 3 p.m. to rest or eat your meal sheltered, with the comfort of the wood fire, in the quiet of the forest. 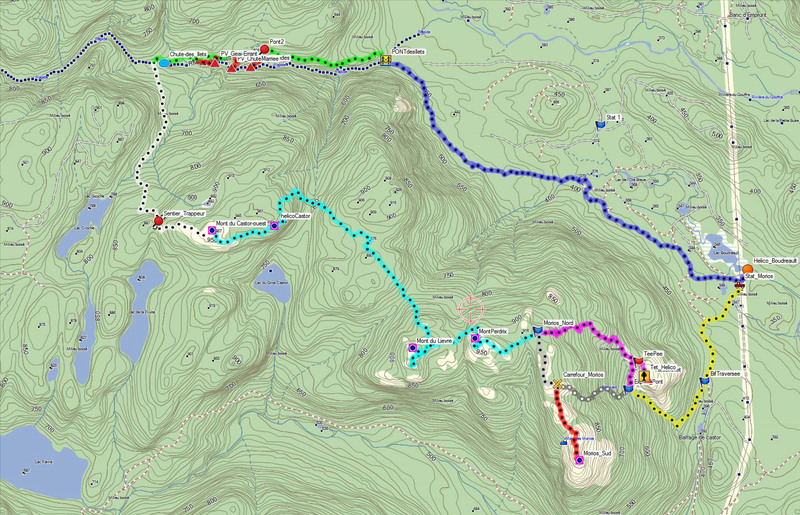 Trail # 4 offers beginners a 3.4 km-hike from the Mont-du-Lac-des-Cygnes Service Center. From Baie-Saint-Paul, follow route 138 East, then route 381 North to kilometer 21. It is always important to obtain information from the trail manager before setting out on the trail.